Niamh, (originally from Tralee, Co. Kerry), is an honours graduate ofTrinity College Dublin & Dublin Institute of Technology. Niamh completed her 5 years university training with internships at St. James Hospital Dublin & Cork University Hospital, and then practiced as a dietitian in Ireland since 1993. The majority of Niamh’s clinical posts were senior & single-handed positions in large teaching hospitals throughout the country, working in areas such as paediatrics, intensive care, surgery, diabetes, oncology, weight management, burns, HIV, gastroenterology & cardiology. She also worked as a senior research nutritionist with the Irish Universities Nutrition Alliance for 3 years, based in University College Cork. In 1999, Niamh set up Cork Nutrition Consultancy, a full time private practice & nutrition consultancy, which was the very first of its kind in Cork. The mission of Cork Nutrition Consultancy was to provide a unique & innovative business concept on the delivery of cutting edge nutritional science to individual patients, groups of workers, health professionals & businesses. Niamh now has a thriving clinical practice and a comprehensive portfolio of clients from the food and pharmaceutical industry, health insurance companies, health promotion agencies, occupational health organisations, educational establishments, catering & retail sector, PR firms & other groups of health professionals. To date Niamh has worked in all areas of the dietetic profession (including clinical dietetics, community nutrition, lecturing, TV/radio both locally & nationally, marketing/PR, national research & scientific writing), and brings this wealth of 18 years experience to all her patients & clients. 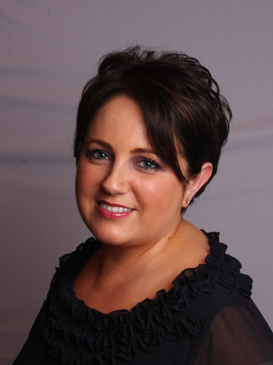 Niamh is a member of the Irish Nutrition & Dietetic Institute (INDI), the Network of Enterprising Women (N.E.W.). She is also the founder of SEDI (a professional support & networking group for Self-Employed Freelance Consultant Dietitians in Ireland) which represents a small group of entrepreneurial dietitians. Individually, SEDI dietitians offer private dietetic clinics, Corporate Nutrition Services & Freelance Consultancy throughout the country. Collectively the SEDI group can offer businesses a range of professional support on projects which can be rolled out throughout the country. In October 2009, Niamh was invited by Touchstone Healthcare Group to relocate her private practice and join an extensive multidisciplinary team of health care professionals in Blackrock Hall Primary Care Centre, where she now runs Cork Nutrition Consultancy. This 40,000 sq ft state-of-the-art facility is currently the largest integrated multidisciplinary primary care medical centre in Ireland, and it opened its doors in Cork on the 1st February 2010. Niamh has a special interest in Paediatrics, Gastroenterology (such as Coeliac Disease, Ulcerative Colitis, Crohnís disease, IBS) and Diabetes. Appointments for private one-to-one consultations are available by contacting Blackrock Hall directly on 021-4231166. Niamh is also a busy mum of two energetic little boys, and a volunteer fund-raiser for the Chernobyl Children’s Project International (CCPI).